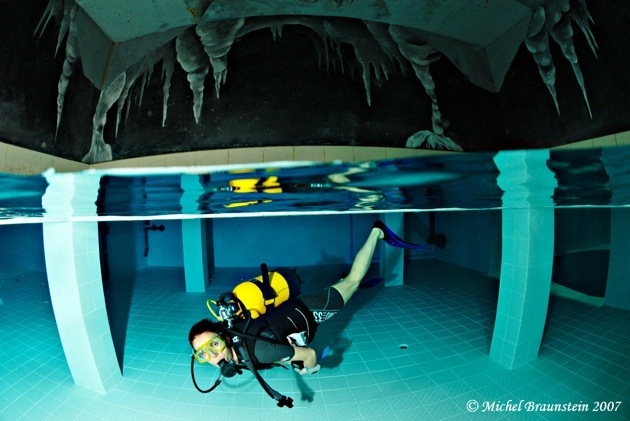 Do you love to swim or even scuba dive? 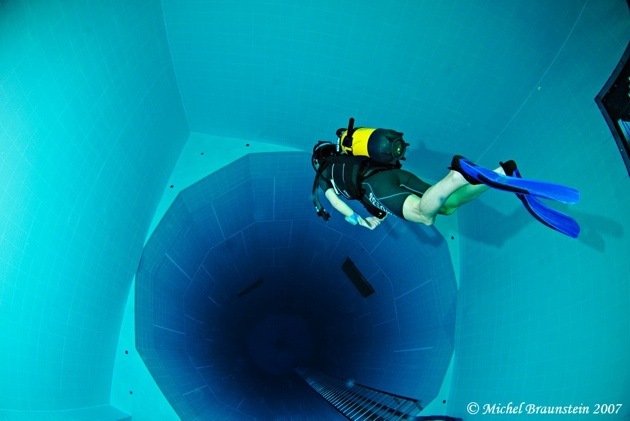 Well then, this article is the one for you! 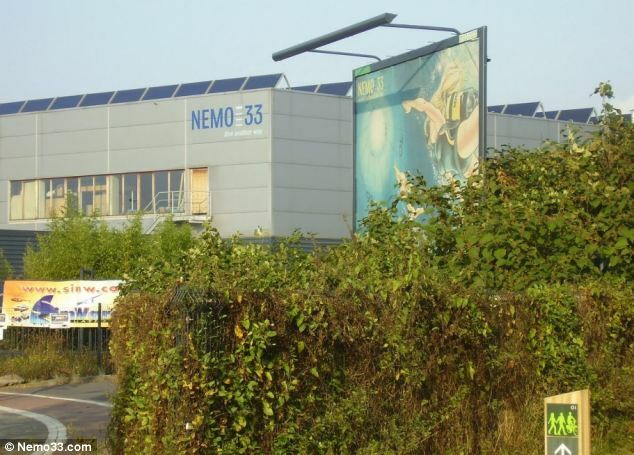 In Brussels, Belgium, there is a swimming pool called Nemo 33. 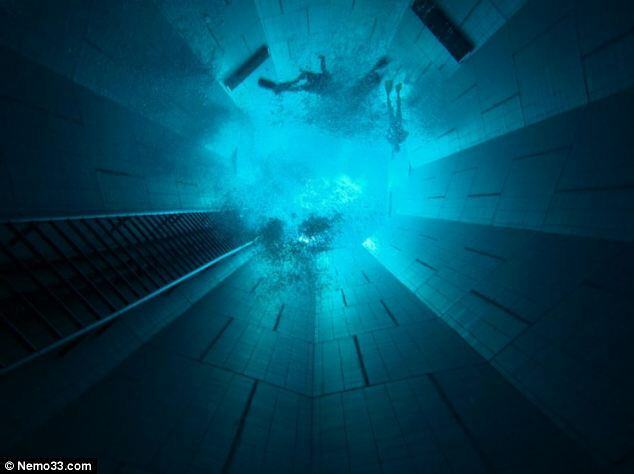 Yes, it’s a pool with it’s very own name because it is a destination. 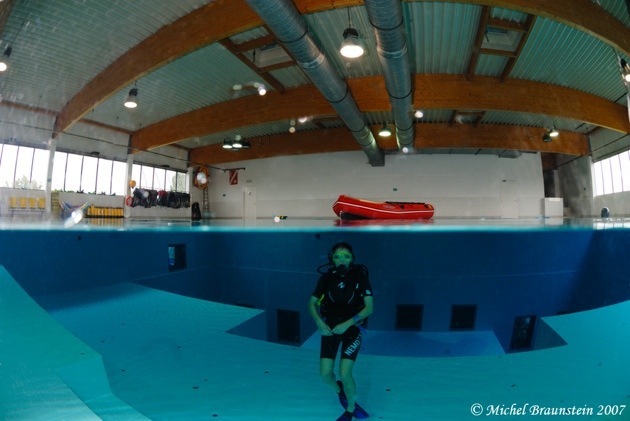 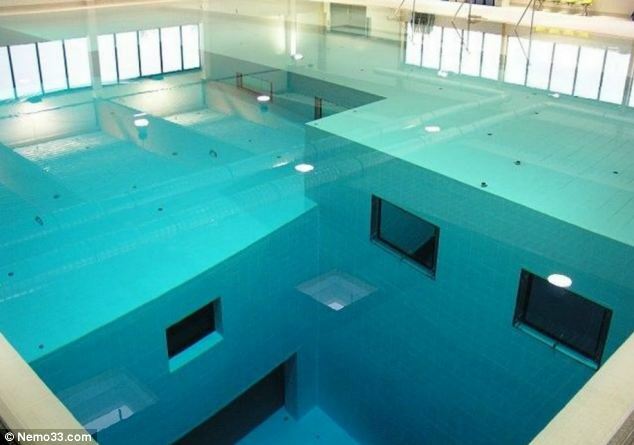 It’s the worlds deepest indoor swimming pool. 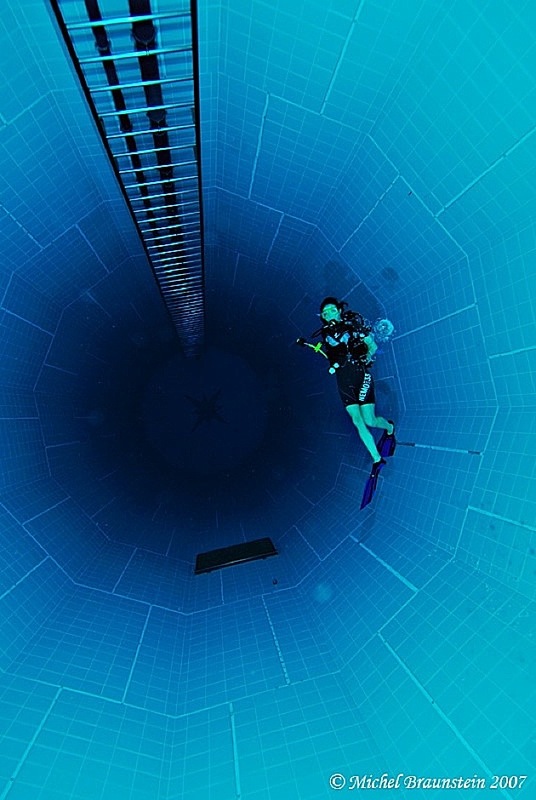 Its depths reach an astonishing 113 feet, which is 34.5 metres. 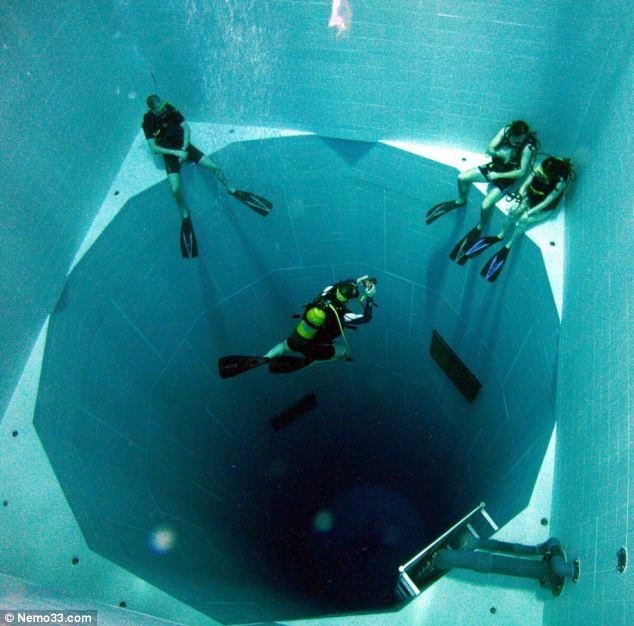 This pool is so deep it’s used for swimming along with scuba diving. 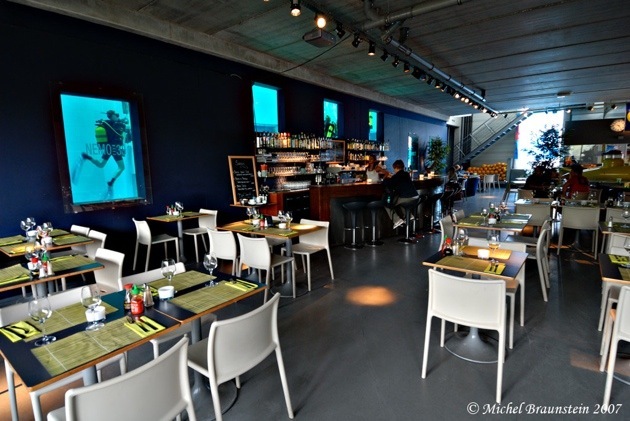 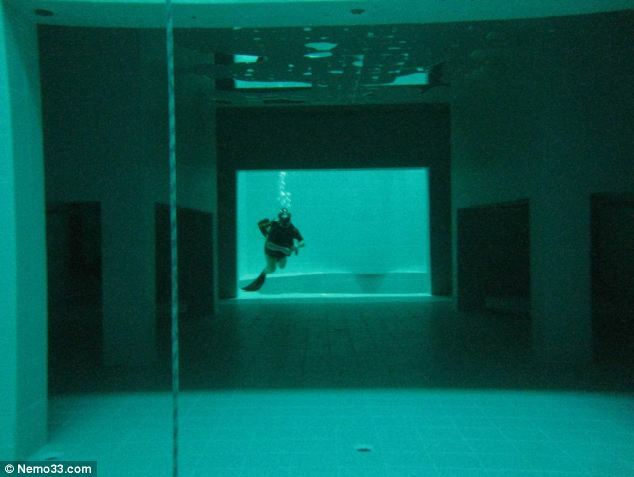 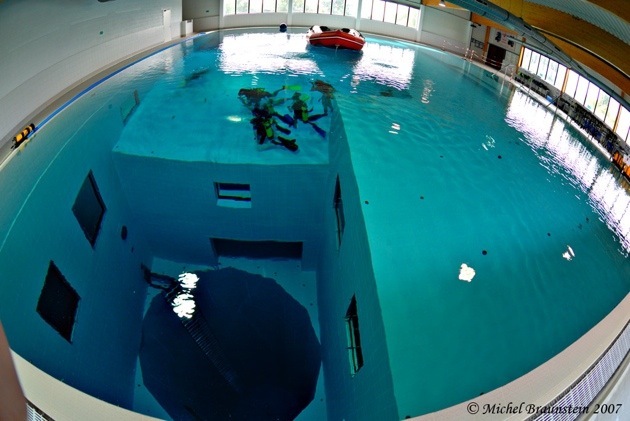 Nemo 33 is available to tourists, amateur divers as well as professional divers. 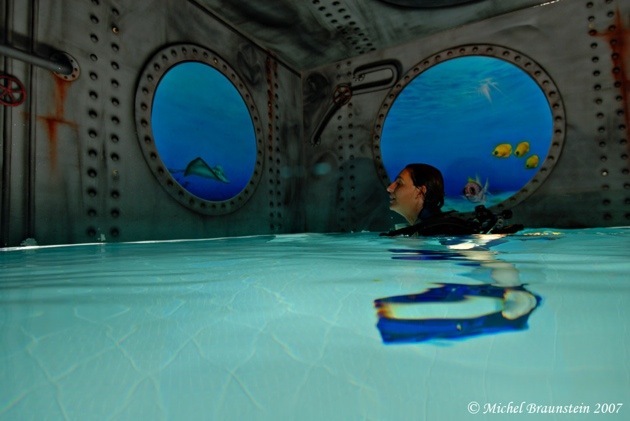 The only requirements are that you are at least 12 years old and are in good/healthy shape. 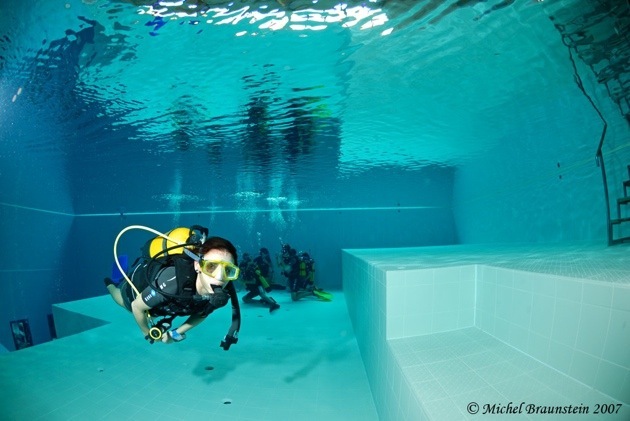 If you plan on diving, you must be certified or supervised by a trainer. 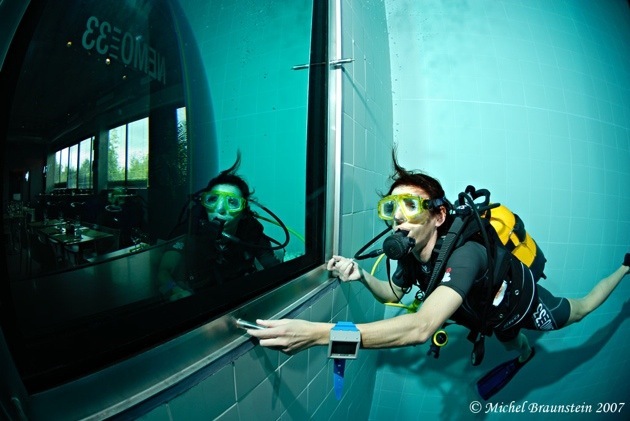 And just to make sure it’s extra safe, all divers must have a certified diver as a dive buddy. 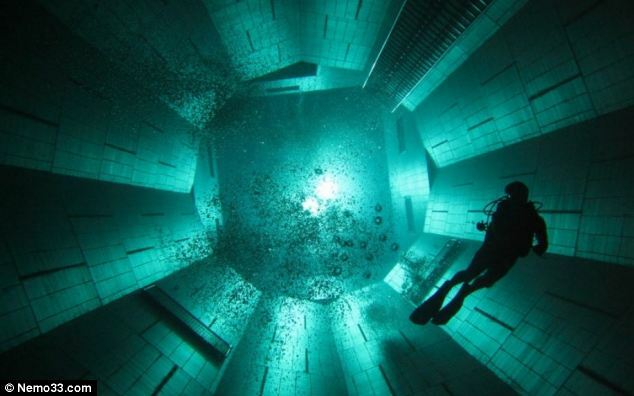 Should we take a look inside this magnificent facility? 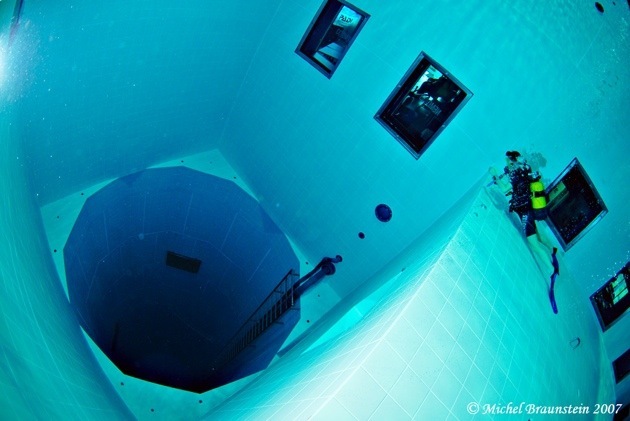 Let’s dive on in! 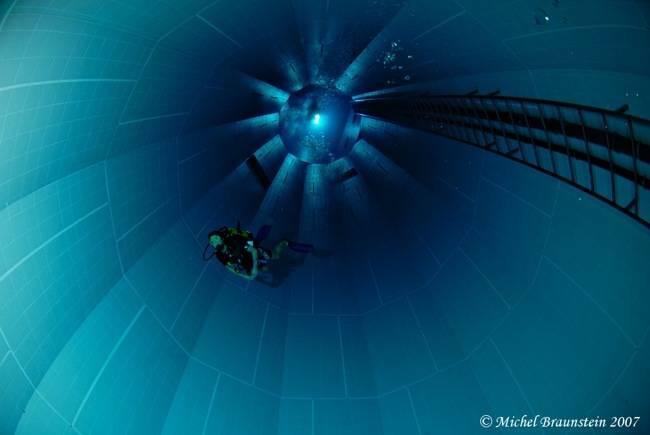 Nemo 33 contains 660,500 gallons of non-chlorinated, highly filtered spring water. 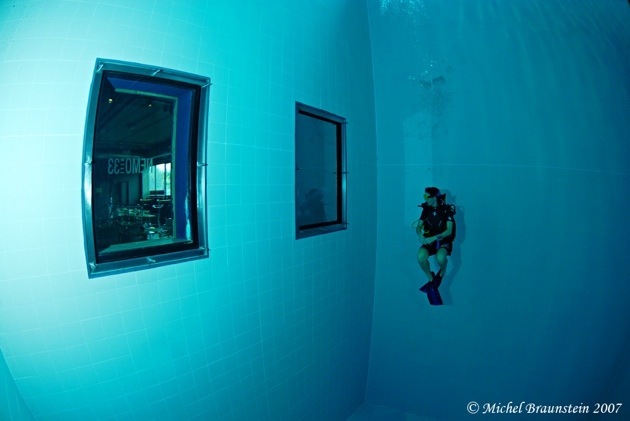 The temperature of the water is kept at a cozy 86F (30C). 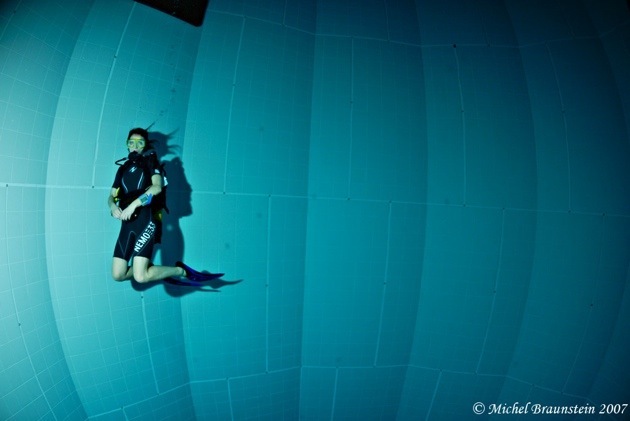 The pool does have a variety of flat platforms, along with a circular pit which descends to the bottom. 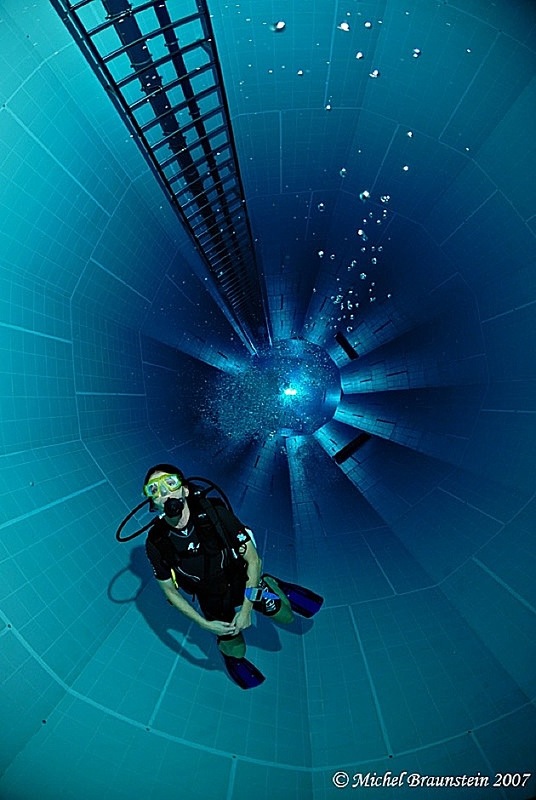 Not only is the water 113 feet deep, there are quite a few underwater caves that can be found throughout a diver’s dive. 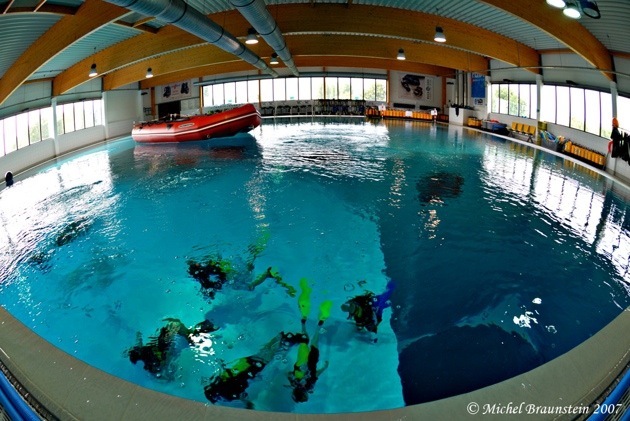 The pool itself offers many options for both inexperienced and experienced divers.